I sanded the top well for stain, and gave the rest of it a light sanding for paint. I used a green interior latex from my local hardware store. 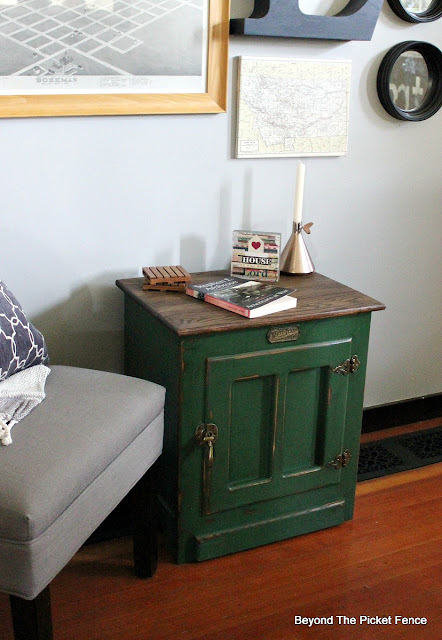 The color is called Bay Leaf. I painted the base, and then stained over all of it with Special Walnut stain from Minwax. 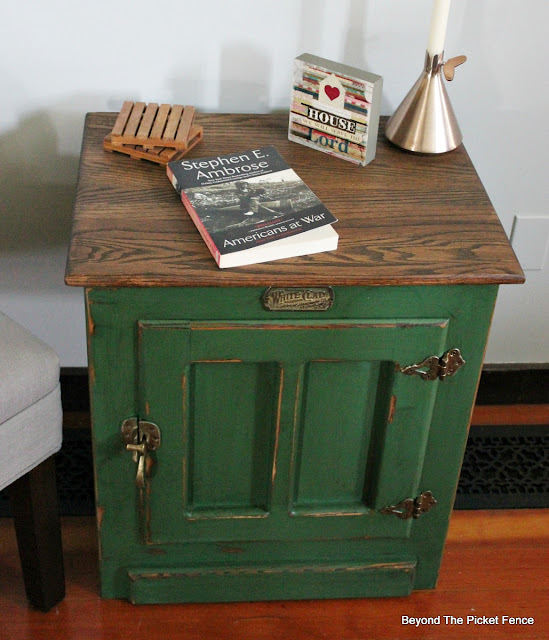 I love this green and think the quick makeover breathed new life into this thrift store find. Ha - I have these EXACT night stands at our lake house. I like how these turned out. I may be re-doing mine now. LOL. Ha-ha, yes Kim, they were quite popular back in the day (whenever that was). I think paint really helps to breathe new life in them. I am loving the two tone look! Thanks Carlene. I really like leaving some wood. Thanks you, very quick and easy! 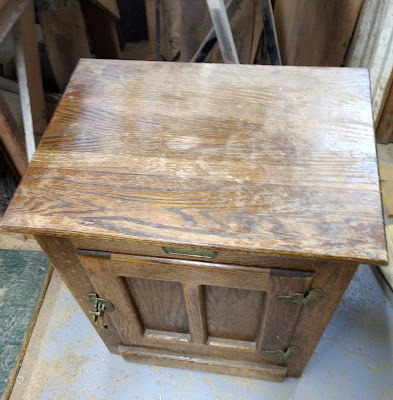 I've had two oak ones as nightstands for many years now. I love the green base you did on yours. Thanks Deb, I am really into this green right now. 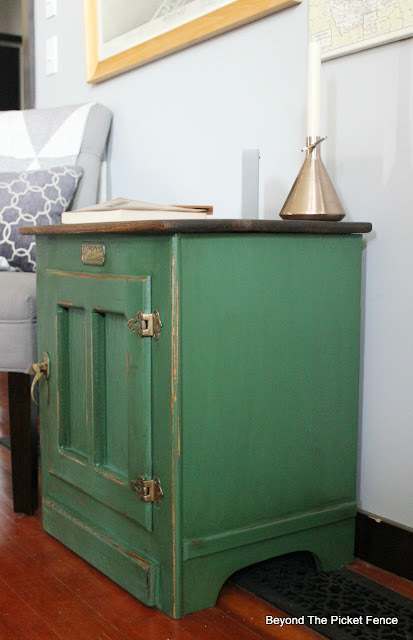 It is not the hunter green of the early nineties, but warmer so I really like it. What a great update. I love the green.